I don’t expect to have as much sewing time as usual in September, so definitely I need to pick a project which is well underway. I think my Yuma quilt is the best choice. I have quilted a selection of concentric circles on the top already, now I just need to go back and add some organic wavy lines to fill in the bigger spaces between the circles (because I’m tired of making circles). Bonus points for finishing the binding. Linking up to Melissa at Sew Bittersweet Designs for A Lovely Year of Finishes for September and To-Do Tuesday with Christine at Stitch all the Things. What a great finish this will be! Really beautiful! Love the contrast of quilted circles with the radiating squares. This is stunning. Awesome work! Wow – so amazing! 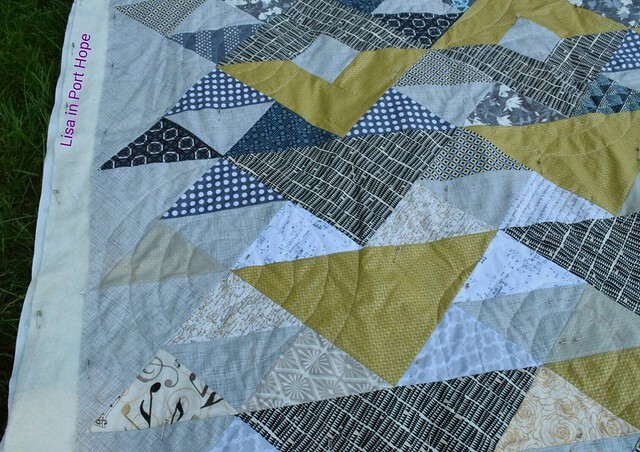 I LOVE the colours and the way the triangles are laid out. WOW! Is it a pattern and do you cut the triangles with a fancy ruler? 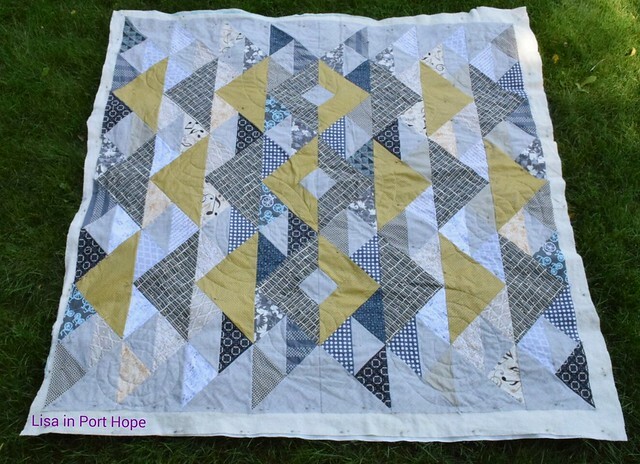 I’ve been looking at them lately because I’m loving triangle quilts… Thanks!